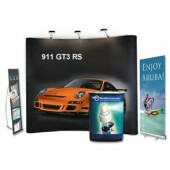 With event bundle packages, you will have a chance to showcase your company with a variety of products, at a great price. 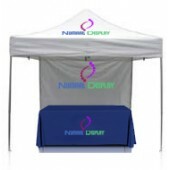 These packages are designed to significantly boost your visibility, while saving you on your advertising budget, making them an ideal choice for those who routinely attend trade shows or other events where these items can be displayed. 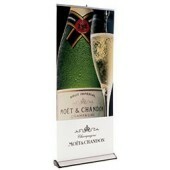 Different event bundle packages can also meet the needs of our customers. 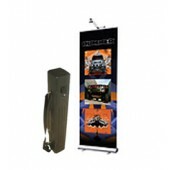 For example, those who are looking for an all-inclusive package may want to consider a package that includes a brochure holder, backdrop, retractable banner and more. The goal is to give the full visual experience needed to boost confidence at a show and to draw interest away from the others in the room so that your foot traffic is more than some of the others in the room, giving you a competitive edge. This can translate to a better return on investment. 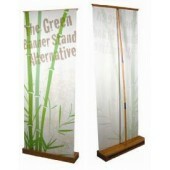 Having a series of stands can also help you to expand on the impact you can have. 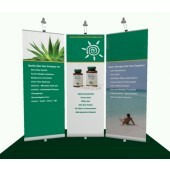 When you need more than one banner, you can take advantage of one of the event bundle packages to ensure that you have three high quality banners with your name and logo that can expand on your overall vision. As a group, these will stand out and help you to create a uniform setup that will cause some curiosity and have people drawn to the area, based on the stimulating visuals that you are offering. When you are planning on attending a trade show, it will be a good idea to plan your setup in advance and verify that you have everything you need. The more inclusive and defined it is, the better the overall execution will be. If you aren't sure where to begin, you can contact us at Nurmart Display and we can help to guide you through the process. At the same time, we will have the ability to ensure that all of you receive the best deal on your event bundle packages, so you can stand out at your next trade show and have a collection of items that you can continue to utilize beyond the big event.